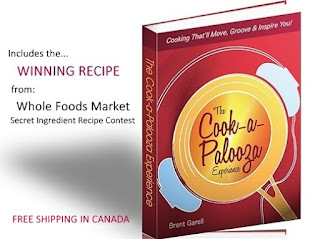 The Cook-a-Palooza Experience: I Gotta Feeling...This Fruit Salad is Gonna Be a Hit! 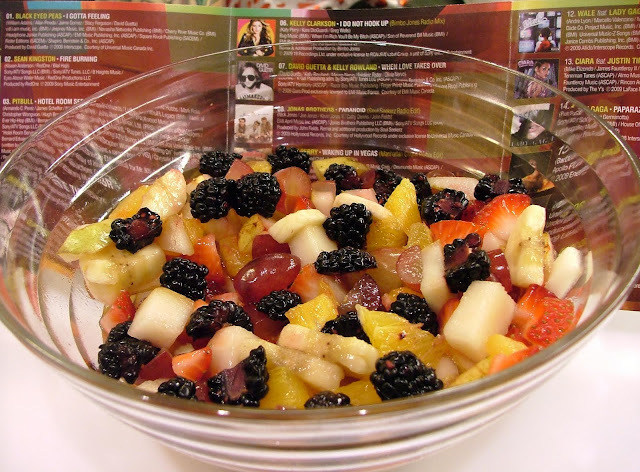 I Gotta Feeling...This Fruit Salad is Gonna Be a Hit! How do you create the feeling of summer in the month of May? Preparing a fruit salad is a good place to start! Its bright flavors and vibrant colors encompass the refreshing feeling of summer! You can go with my combination of ripe strawberries, oranges, pears, grapes, bananas and sweet blackberries in an apple juice and honey base or put your own creative fruity spin on it! May I suggest bumping up the summery vibe by adding in some party dance tunes while preparing this tasty concoction. The good-looking fruit can be found in the often-neglected produce aisle of the grocery store and the tunes can be purchased at your starving record store. Do the record storeowner a solid by buying a good ole dance compilation CD (yes CD’s still exist and so do record stores in some respect). I went with the Much Dance 2010 CD. There are more than enough hot tunes on this disc by artists such Black Eyed Peas, Sean Kingston and Justin Timberlake (always has the right ingredients to create the perfect sound). These songs will get your heart pumping and tap your mojo into that summer party feeling! 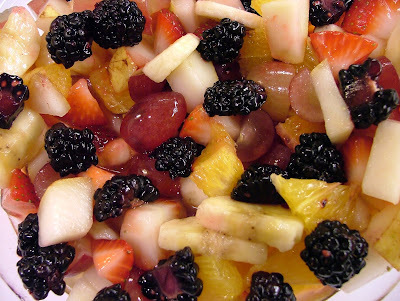 The beauty of fruit salad is you can put whatever you want into it and it’ll always turn out great! Well, maybe not always. A under ripened fruit can sour the party, just like a few select tunes on this CD. Not to pick on Britney, but why does it sound like her nose is plugged when she sings? Someone please get that girl a tissue. Please ignore my critical negativity because summer is about positive vibes and that's exactly what you'll find in this refreshing fruit salad! What's your favorite fruit salad combo? In a large bowl, whisk together apple juice and honey. Cut between membranes of the peeled orange to release each segment. Cut each orange segment into quarters. Add to the bowl along with remaining fruit and lemon juice. Gently mix. 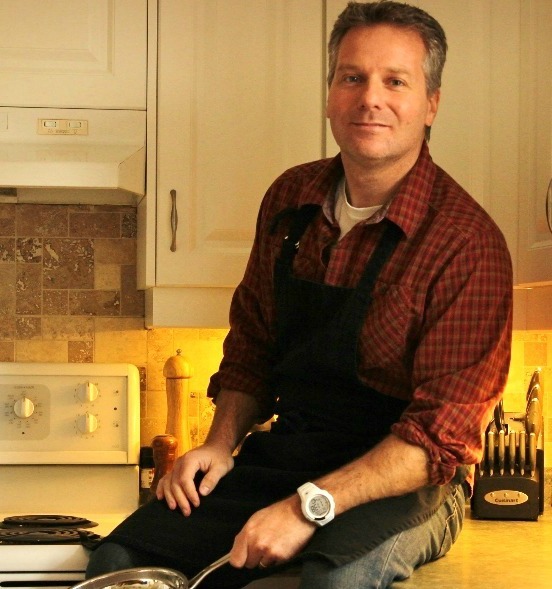 Cover and let chill in the refrigerator for at least 30 minutes before serving.